This morning I received a frantic call from a mother who was playing with her kids on their swing set and noticed something moving from underneath the swing seat. Upon closer inspection she realised that it was a Redback spider Sydney she quickly grabbed her kids and called me to see what we could do for her. 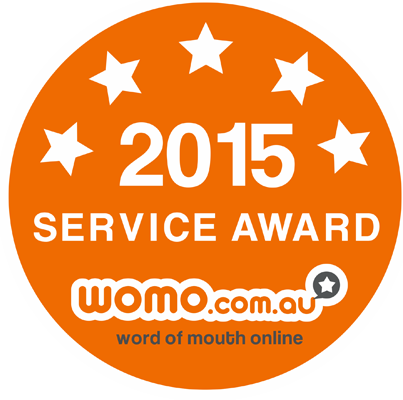 I advised her that we could do a general pest treatment and that it would cover the Redback spiders Sydney amongst other various pest for her. 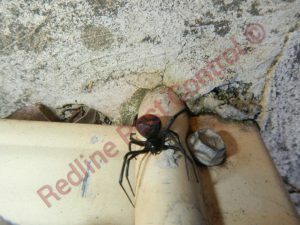 So what is a Redback spider? 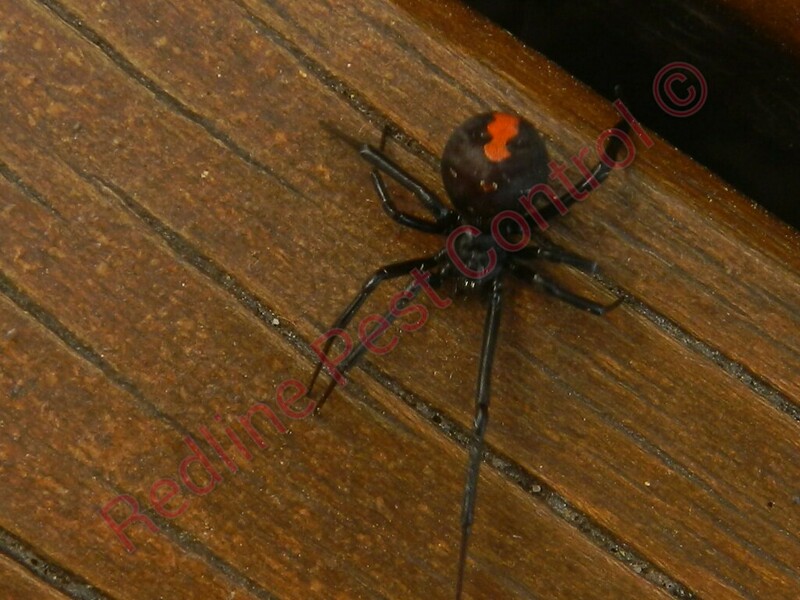 The Redback Spider Sydney is a member of the Theridiidae family and is also known as Latrodectus Hasselti and is a native spider here in Australia. There are many different name that Redback Spiders Sydney go by such as Kapara spider, Murra-Ngura spider, Red spot spider, Red stripe spider, Jockey spider and Kanna-Jeri spider. What do Redback spider Sydney look like? 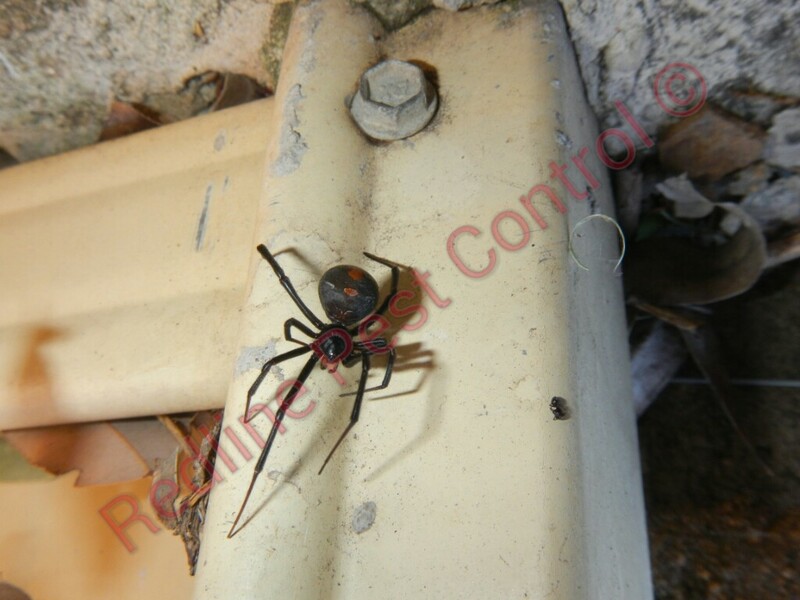 Female Redback spiders are much larger than the males and will be roughly 12-15mm with the male Redback spider being 3-4mm. Redback spiders have long skinny legs with a large bulbous abdomen and smallish cephalothorax. Their stripe can be a dark red to a softer orangey colour. What do Redback Spiders feed on? Redback spiders tend to feed on small insects they catch in their web but has been known to eat frogs, other spiders, small lizards and mice. It is often the female Redback spider that will feast on the prey first with the male Redback spider and spiderlings taking what is left over. 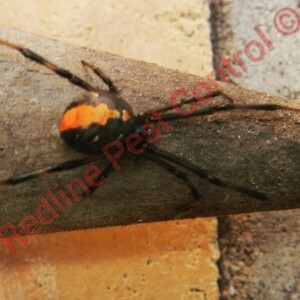 Where will I find Redback spiders? Redback spiders are nocturnal and you will often see them spinning their webs where it is dry, warm with plenty of shelter. They will often hide under pot plants, swings, trampolines, outdoor settings, clothes lines, letterboxes, and any other ornaments on your property.